Ready to scrap your December? 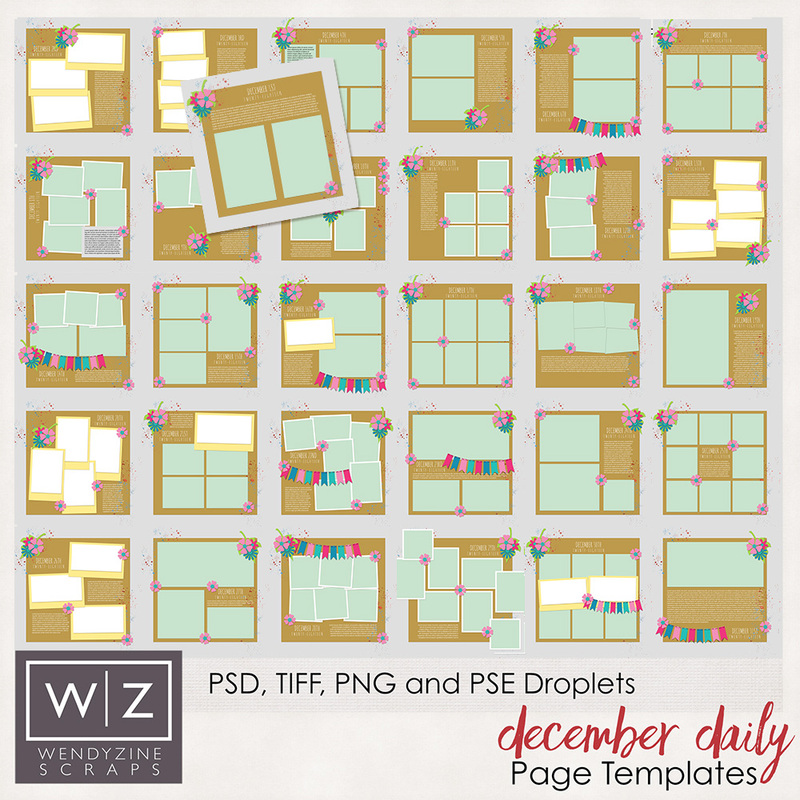 This massive set of 31 templates makes it easy! Mix and match the templates based on how many photos you have. Fill in Journal cards or pattern papers in empty spots if need be! Scrapping your December doesn't have to be overwhelming.